On the Big Island of Hawaii, wealthy businessmen from Hong Kong have found their home away from home. According to Harold Clarke of Luxury Big Island, the island has been drawing more and more of Asia’s richest because of its proximity. In a dialogue with Torrey J. Dorsey, Corporate and International Partnerships Manager of Royal Hong Kong Yacht Club, Harold talks about the Big Island being an ideal escape, being only five to ten minutes from the international airport. He shared that a lot of people simply fly privately in, to conduct business, or to take a short vacation with their families. Those belonging to this highly discriminating market especially favor the Big Island’s more exclusive developments, such as Mauna Kea, Kohanaiki, Kukio, and Hualalai. There, they are sure to find a home that has been meticulously designed to provide the setting for the sweet life. Many of the homes have also been designed by award-winning architects such as Shay Zak and Mark de Reus along with interior designs by the prestigious Philpotts Interiors Living rooms are large and airy, and luxuriously decorated. Residents can wake up to reinvigorating views of the ocean, while breathing in the fresh, salty sea breeze. During sunset, they can sip cocktails at their lanai, and then host sit-down dinners for friends and family at night, as well as pool parties during the weekends. Top of the line appliances have also been installed in the kitchens, perfect for residents who love entertaining. Moreover, through the private membership clubs of these resort neighborhoods, residents can enjoy a wide array of privileges, including the quick access to the pristine oceanfront, the perfectly landscaped golf courses, and the handsomely appointed dining, watersports, wellness, and recreation facilities. A full-service spa promises a truly relaxing time, followed by the superb food at the restaurants helmed by rockstar chefs. 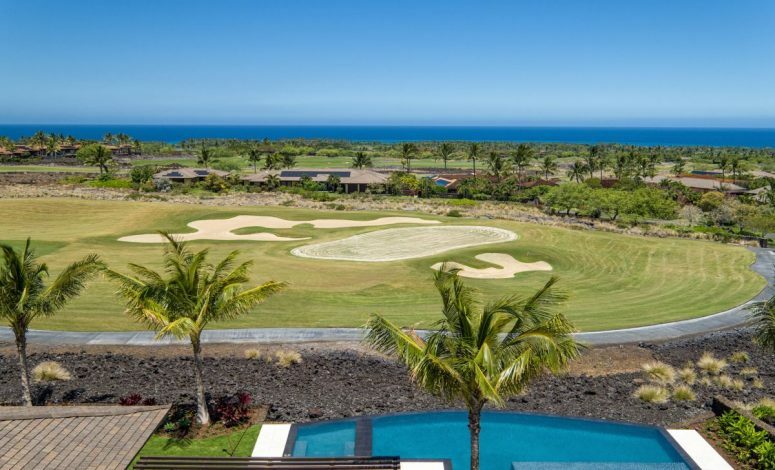 Concierge services can arrange for convenient and seamless travel, and some of the world’s best hotels – including Four Seasons Hualalai Resort –are just a short walk, drive, or a golf cart ride away. Not surprisingly, these communities have become the second home of many venture capitalists from the Silicon Valley, hedge funders, entrepreneurs, top finance execs, and entertainment industry moguls. Get in touch with Harold Clarke today for more of the rewards of residing in a Big Island real estate property. Harold and his first-rate team of professionals at Luxury Big Island offer their expertise and solid network in navigating Hawaii’s luxury real estate market. A top producing broker, Harold has a particularly wide experience catering to the most discerning buyers from across the globe.